There are 2.2 million farms in the US of which only 4,600 produce sugar beets or sugar cane. Each one gets on average $310,000 a year as sugar subsidy from the government. The United States and Mexico signed agreements last week that would restrict the amount of sugar Mexico can export to the U.S. The deal has been praised for avoiding a trade war, but it is symptomatic of a policy that imposes a heavy toll on the economy. It also undermines the U.S. government’s position in current international trade negotiations. In 2008,the last restrictions on Mexican sugar exports to the U.S. were eliminated under the North American Free Trade Agreement. This was a seminal event given that no other sugar-producing country had such unfettered access to the U.S. market. Domestic sugar growers launched a vigorous campaign to restore the trade restrictions, which culminated in countervailing duty and anti-dumping cases against Mexico on March 28. The Commerce Department and U.S. International Trade Commission subsequently found that Mexican sugar growers were subsidized in a manner that threatened injury to American growers. It announced punitive tariffs against Mexican sugar entering the U.S. Confronted with tariffs that could have blocked access to the U.S. market, Mexico decided to cut its losses by agreeing to limit exports to the U.S. (according to a complex formula that defies simple explanation) in exchange for the suspension of the tariffs. What makes this result so ironic is the U.S. is as guilty as Mexico of subsidizing sugar growers. Our sugar policy is designed to artificially lower the supply getting to market via a complex mix of domestic marketing controls and import quotas. Domestic growers sell their sugar at prices that are anywhere from 50% to 100% higher than the price of sugar on the world market. This action to re-regulate U.S.-Mexico sugar trade could not come at a more inopportune time. The Obama administration is pressing to conclude negotiations with 11 countries over the Trans-Pacific Partnership (TPP) trade agreement—one of whose goals is to expand sales of American agricultural products in Asian-Pacific markets. The U.S. is seeking to lower Japanese trade barriers on beef, pork, rice, dairy, wheat, barley—and sugar. We are asking Canada to provide more access for our dairy and poultry products. How can the U.S. square its stance on market access for U.S. agricultural commodities with its actions to resurrect limits on sugar imports from Mexico, one of the parties to the TPP talks? It can’t, and thus its negotiating leverage is compromised. American farmers are starting to recognize how sugar policy undermines their efforts to expand agricultural exports. In a recent interview with Inside U.S. Trade, Bob Stallman, president of the American Farm Bureau Federation, acknowledged that the U.S. is taking an unreasonable position by declining to grant Australia new market access for sugar while insisting that Japan not exclude any product from its market-access commitments. Mr. Stallman said his organization could support a TPP agreement that granted increased access for Australian sugar as long as the deal represents an overall benefit for American farmers—a signal that the interests of the many should not be sacrificed to benefit the few. 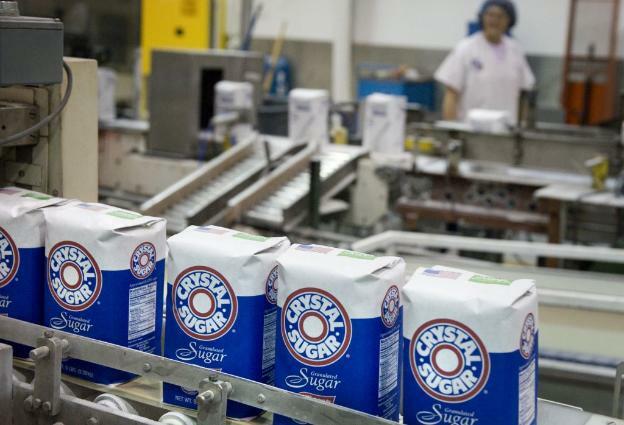 A very small number of sugar growers benefit from U.S. policy. According to the U.S. Agriculture Department, there are 2.2 million farms in the U.S. of which only 4,600 produce sugar beets or sugar cane. Those farms reap outsize benefits. The Heritage Foundation has calculated that in 2013 each sugar farm received on average an additional $310,000 thanks to the sugar program. A very large number of Americans pick up the tab for this sugar program. Everyone who consumes a sugar-containing product pays what amounts to a tax which, based on an analysis by the consultants at Agralytica, has ranged from $1.45 billion to $4.24 billion a year from 2002-12. Food manufacturing employees pay a high price: Agralytica estimates that 127,000 jobs were lost between 1997 and 2011 because the government’s sugar policy forced small businesses to close or move their plants offshore to access less expensive sugar. Congress has long turned a deaf ear to calls for sugar reform. The re-imposition of import restrictions on Mexican sugar should prompt consumers, food industry workers and the rest of the American agriculture community to let their representatives know there is nothing sweet about U.S. sugar policy. Mr. Leonard, who served as special assistant to President Reagan for food and agriculture, is a consultant with Prime Policy Group.